This is a single variety red wine from Spain. To the eye this wine presents a cherry color that starts bright and clear on the edges and depends to a black cherry color with great depth at the center of the glass. To the nose this Tempranillo cast aromas of wild cherry fading to notes of vanilla and black pepper. To the taste there is the constant of wild cherries with undercurrents of vanilla and cocoa with just the slightest hint of oak. 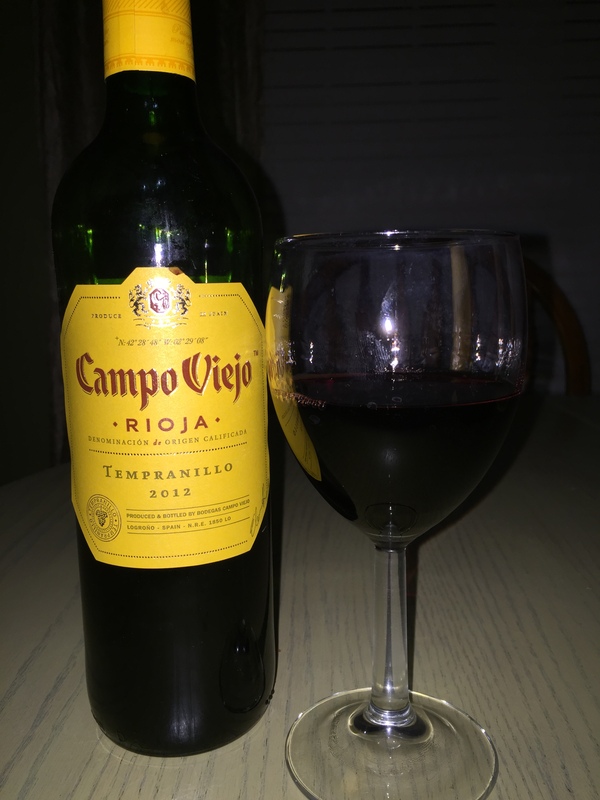 The Campo Viejo is in the Rioja region of Spain. This Winery has been producing wine since 1959. The Tempranillo is fermented in stainless steel vats controlled to about 25 degrees centigrade is macerated with the skins for approximately 12 days. The aging process begins in American Oak barrels for 4 months before finishing in the bottle. This is a wine that can be support being served with steak and potatoes or Spanish Paella.